Ladies, we believe that camp is for all ages! And we have lots of ideas why you should consider coming to camp for our fall Sport & Spirit For Her women's retreat. Thinking about summer yet? We are! 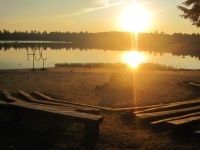 We are taking one of our popular camp activities and not only bringing it outside but also adding some new, fun and challenging elements to get campers excited for the summer of 2016. 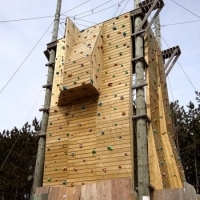 Get ready to climb high in our new Outdoor 3 Sided Climbing Tower!